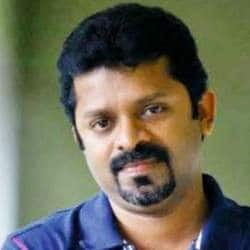 popularly known as Sachy/Sachi, is an Indian Writer, Theatre Artist, Film Script Writer, Producer and Director who is well known for his works in Malayalam Film Industry. His collaboration with writer Sethu(Sachy-Sethu) witnessed several super hit movies such as Chocolate(2007), Robinhood(2009), Makeup Man(2011)) , Seniors(2012). He is noted for his engaging and entertaining style of script writing. His first directorial debut will be Anarkali starring Prithviraj sukumaran produced by Rajeev Nair under the banner of Magic Moon Productions.